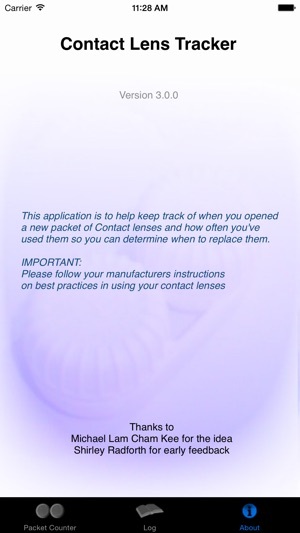 This application is a quick and efficient way to keep track of your uses of reusable contact lenses. 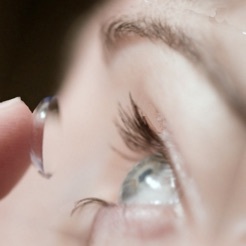 By using this application you will be able to share your lens usage information with your optician for future prescriptions to ensure you're purchasing the most appropriate type of contact lenses at the best price. Some reusables also recommend changing packets more frequently based on the number of uses so this application will help keep track of this. 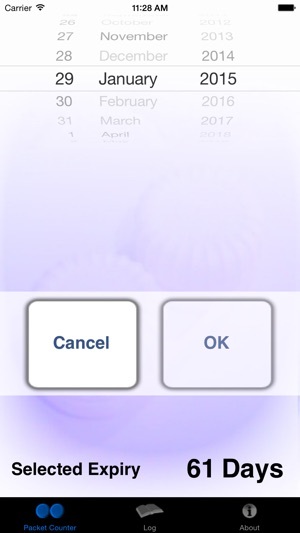 To use this application simply press the 'Open Packet' button when you start a new set of reusables and specify the change/expiry number of days for the pack (From 1 to 366 days). Once a pack is opened you can press the '+1' button to increment your count. There is a history tab to see when packets were opened and how many times that packet was used (along with dates of usages). 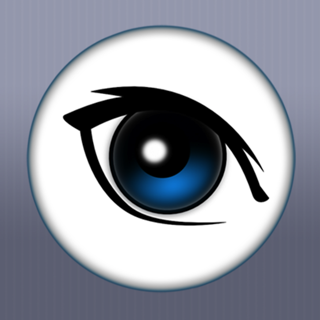 The application has been designed to be opened and closed quickly and with a large font on the main screen to help readability without lenses. Any suggestions for additional enhancements welcomed! Fixed a bug that made the app unresponsive to touch in iOS8. The app does one thing and does it well. I am more of an occasional lens wearer, I wanted an app that would let me know if I had used the lenses 14 times or they were 28 days old. The app does that perfectly. I had some questions on the interface at first, but after using it a while I saw that it was very easy to use, with a clean, simple design. As others have pointed out, it doesn't track individual lens use, but that's a trade off I am happy to make for simplicity. The log is nice to, to let you know how much you have actually been using the lenses. Note that If you want something with tons of features that is hard to use, you should look elsewhere. There are two things that I don't like about this app: (1) its default setting is 28 days rather than 30 and (2) it doesn't sync across mobile devices. I don't like having to set expiration dates multiple times. Otherwise, it does what it says it will do.